Once you have set your pricing zones, the price of all your products will be calculated using the zone exchange rate. Inside the product data panel, for each zone you can set the price that best fits your country-targeted pricing strategy, you can also program the sale prices independently. 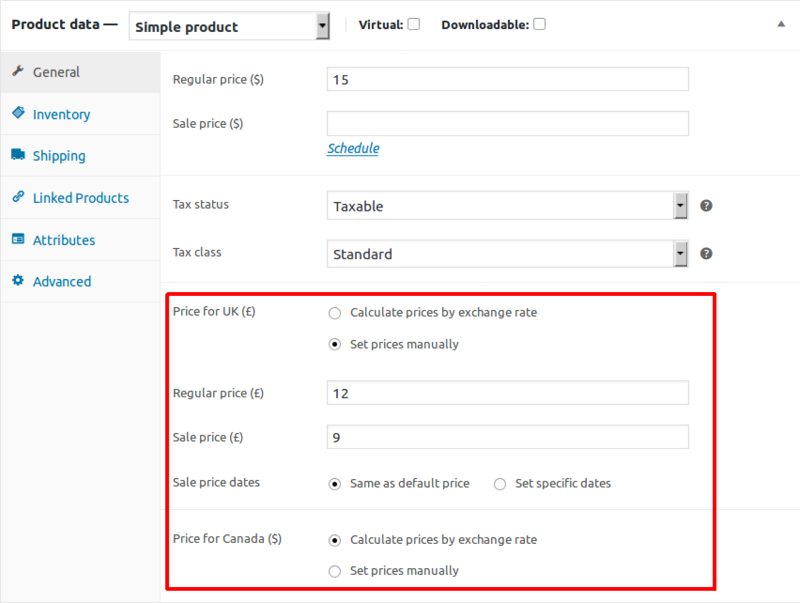 Calculate price by exchange rate – The price of the product for the zone will be the result of multiplying the WooCommerce price by the exchange rate set for the zone. Set prices manually – You want to set the regular price, the sale price and on-sale dates for the zone manually. 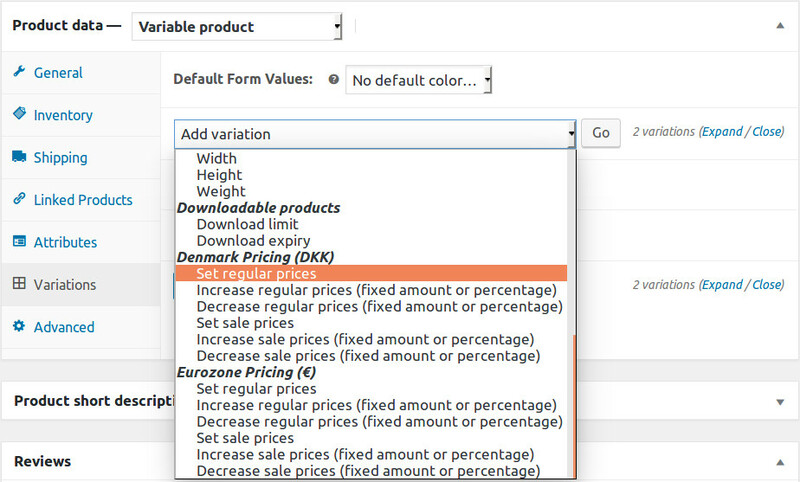 To set product price by zone in a variable product, go to Variations section and select the variation you want to edit. 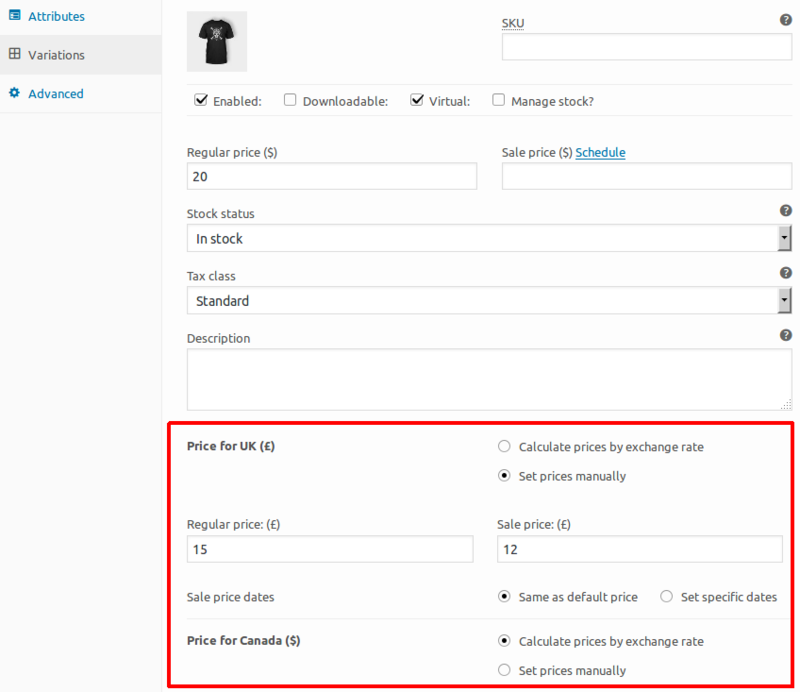 The option to set the product pricing by zone is below the description field. Pro version featureUpgrade to Pro now! You can bulk-edit the price of the zone of all variations by selecting the option you want from the drop-down. In this example, I want to edit regular price for the zone “Denmark” for all variations.